The rehearsal itself is a fascinating listen. 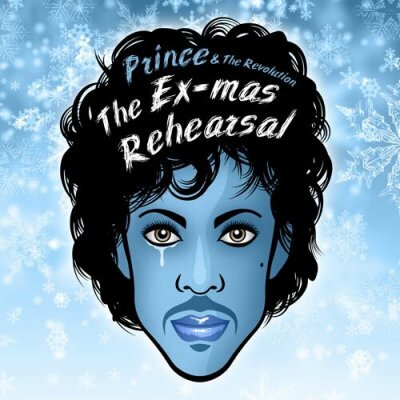 In essence, it’s the Revolution rehearsing (and for that matter, learning) the song ‘Another Lonely Christmas’ and it really is a treat for rehearsal fans or anyone with a passing interest in how a routine is put together. If you can get pass the fact it’s just the same song over and over, it really is an insightful look into how Prince and the band build and practice a song for the live shows. If you haven’t come across this recording before I highly recommend checking it out. The monotony (at least for the band) is occasionally broken via a quick and fun rendition of ‘When the Saints Go Marching In’ and a couple of run through’s of ‘Let’s Go Crazy’ but I think what really makes this a rather special rehearsal is the simple fact that the song itself was only ever performed live the once during the tour......and helpfully FBG has included that very performance as a bonus track on this release. Taken from their own Another Lonely Christmas release, it truly is a rare and unique airing of the song and it’s also a very respectable recording indeed.....which helps. Throw in a studio version at the end for good measure and finish it all off with some brilliant cover design and you really do have something I whole-heartedly recommend you hunt down.